We are thrilled to welcome new drivers Jim Campbell, James Abela and Jaxon Evans to McElrea Racing. 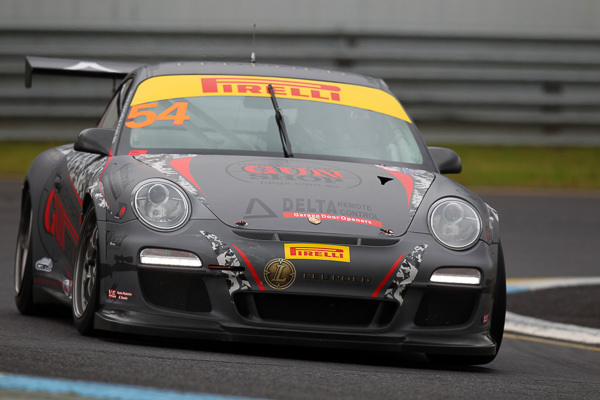 They will join our returning drivers Simon Ellingham and Tim Miles to contest the 2015 GT3 Cup Challenge Championship. There are three Championships up for grabs this year with both Pro and Elite categories in A Class for the newer 2011 model cars as well as B Class for the older 2006 – 2009 model cars. The MR crew have had a pretty ballistic lead-up to the first round at Sandown after the Bathurst 12 Hour, Clipsal and the AGP. 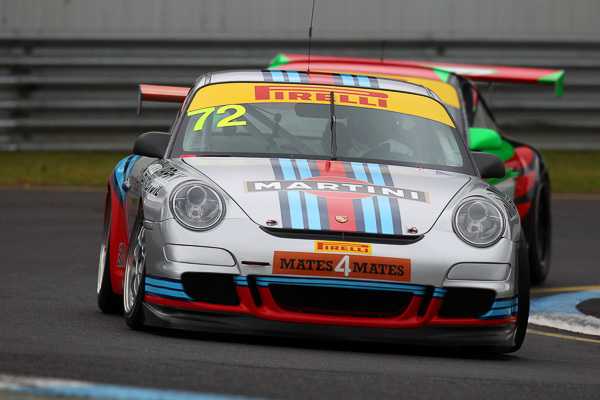 Tim had a great start to his 2015 campaign with a podium at Sandown. Being a very analytical driver and finely tuned specimen, Tim experimented with various hydration strategies over the weekend, with conclusive results. One of the highlights of the weekend were his many spirited dices with young gun Dylan O’Keeffe. His best results was 5th outright and 3rd in Elite class in race 2. 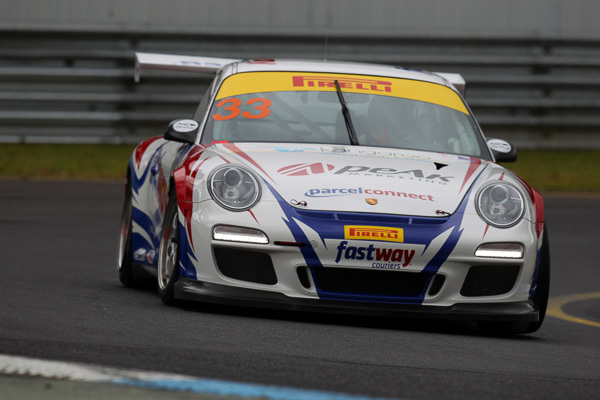 Being the competitive character he is, he wants to find more pace, so like new team mate Jim Campbell he will be testing with us at Phillip island next month. This was Jaxon’s first major race weekend since graduating from Go karts to cars. After finishing second in B Class on his debut, there is no doubt that Jaxon will be a star of the sport in the future. Jaxon’s best result for the weekend was a remarkable 9th outright against the newer cars and more experienced drivers in race 1. He had a quick spin in race 2 getting used to the lack of vision when following other cars closely, which no doubt cost him a win. 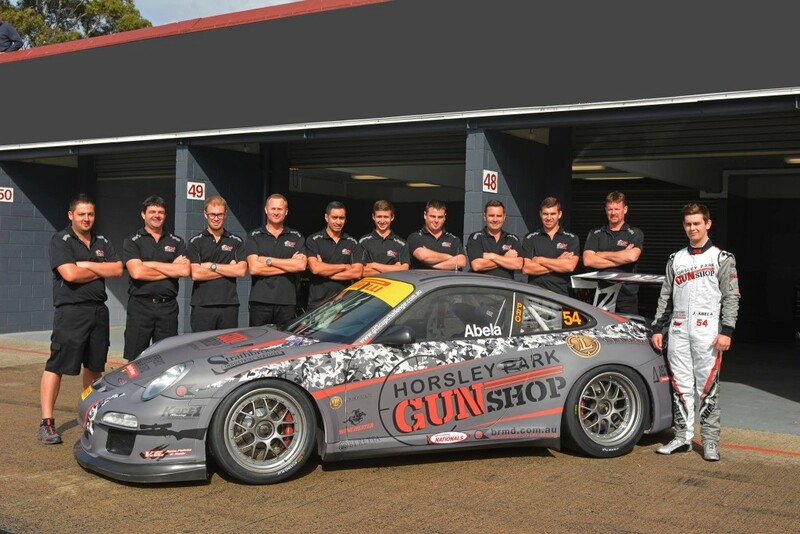 He doesn’t have to wait long for his next run which will be at Bathurst over the Easter long weekend. Like Jaxon, James is a Go karting prodigy and his pace and aggression is renowned. James’s development at MR will initially focus on containing and controlling his raw speed. In race one he was pushing on in his usual forceful fashion and made a small mistake which send his car into the outside wall on the exit of turn 4. The MR crew did a typically outstanding job to repair the car finishing at 2am on Sunday morning. James repaid the boys effort with two 5th place finishes on Sunday. His best result was 10th outright in race 3 with the 4th fastest lap time. 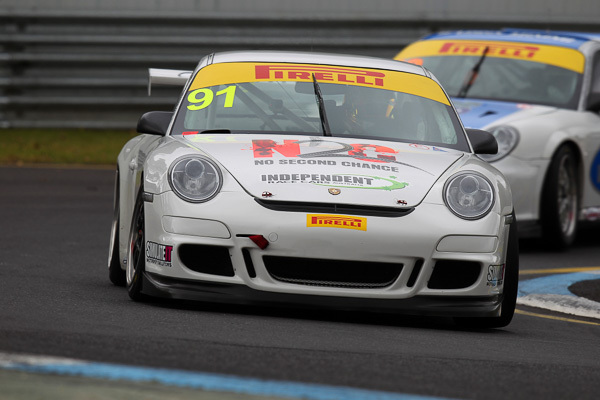 Jim thoroughly enjoyed his first weekend in the GT3 Cup Challenge championship. Although he is realistic about his goals in his first season of circuit racing, he easily exceeded the teams expectations by finishing all three races inside the top 5 of B Class. He even finished the first race in an incredible 15th outright from a field of 22 cars! He is great to work with and the whole MR team loves having him on-board. He goes testing with his MR team-mates at Phillip island next month and we are looking forward to helping him continue his rapid learning curve. Simon had a weekend he would rather forget. 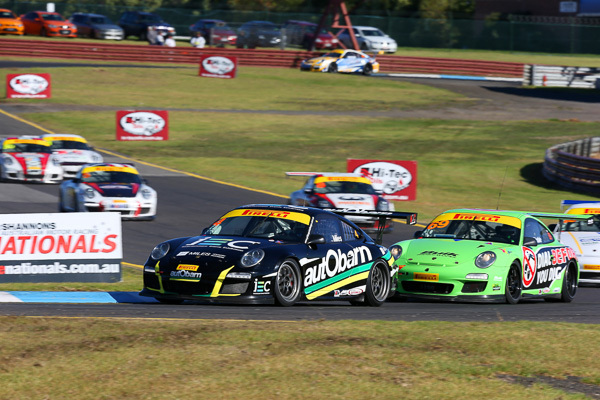 Contact from another car and a spin on the last lap of race 1 caused a DNF. After the race Simon reported he had debris in his eye from dust through the vent so he went to the medics for some eye wash which lead to him spending most of the night in hospital getting treatment. Karl Reindler was brought in the drive for the Fastway sponsors guests but some competitors would not agree to the arrangement. So many thanks to Jaxon Evans for offering to run Fastway signage on his car at the last minute. We were very happy with Jaxon Evans’s two B Class wins giving him 2nd for the round on his debut in the category and Tim Miles 3rd in A Class Elite. James Abela is obviously going to be very successful quite soon, and we have no doubt will win races this year. Jim Campbell had a stellar debut and now has a great platform to build on throughout the year. 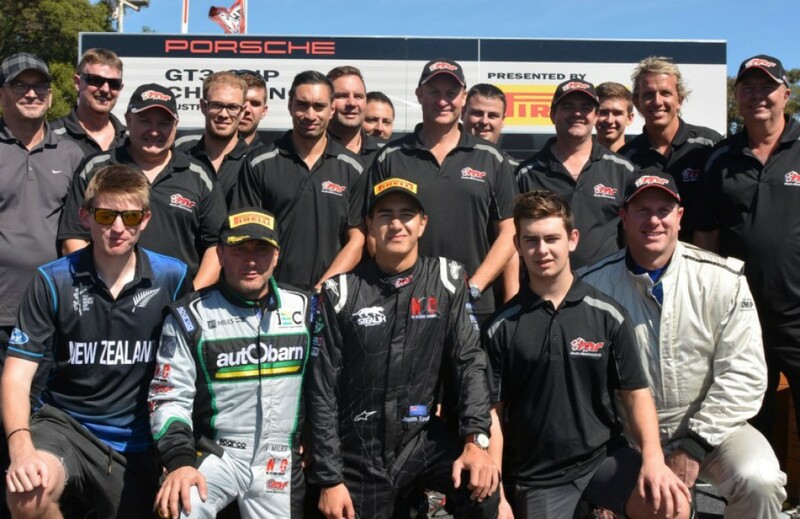 Simon’s next race will be with Andre’ Heimgartner in the AGT 101 race at Phillip Island in May. 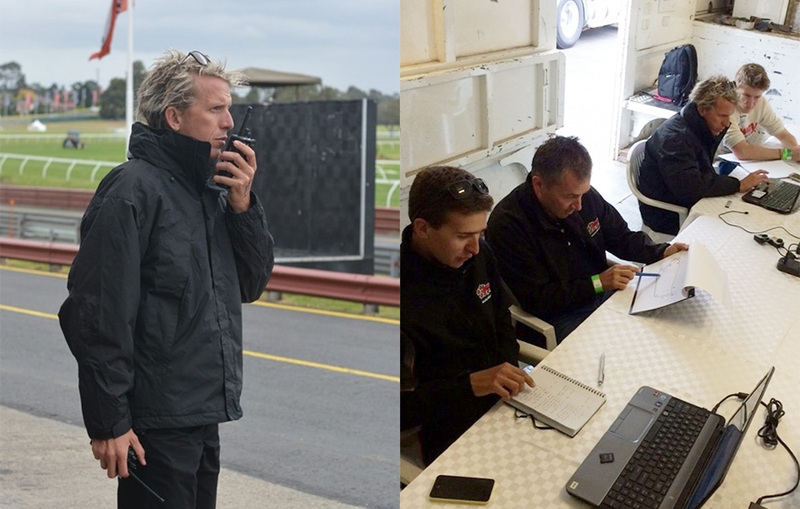 MR Pro Drivers Matt Campbell and Warren Luff were on hand to do some video analysis, driver coaching and a bit of encouragement over the radio. It's what makes all the difference! From everyone at MR thankyou to everyone for your support and we will see you again soon.